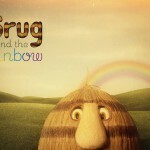 Grug and the Rainbow – more stories based on the much loved picture book character created by Ted Prior. Grug began his life as the top of a Burrawang tree that fell to the ground. Fascinated by the world around him and full of determination, Grug embarks on an epic journey to reach the rainbow that always seems just beyond his grasp. Will our grassy little friend find what he’s looking for? And what fun and adventure will he have along the way? Featuring exquisite puppetry, plenty of surprises and more of the gentle storytelling that has delighted audiences around the world, this show has been especially created for our littlest theatregoers (and Grug fans of all ages). Grug and the Rainbow review. Grug and the Rainbow – Adelaide 2018 trailer from Windmill Theatre Co on Vimeo. For more information and all enquiries please visit the Windmill Theatre website. What: Grug and the Rainbow presented by Windmill Theatre Co. Image Credit: Windmill Theatre Co.